After two years of drought, 2018 was a breath of fresh air for Argentine wine producers. From 2015 to 2017, Argentine production declined by 19 percent, contributing to “historically low” harvests worldwide. Argentine exports in that period decreased by 17 percent. Weather was not the only headache. A weaker peso drove up production costs for Argentine producers, just as higher prices and an economic slowdown dampened domestic demand. Though Argentina’s drought continued into 2018, its wine sector experienced a recovery, with production up 23 percent and exports rising by the same percentage. 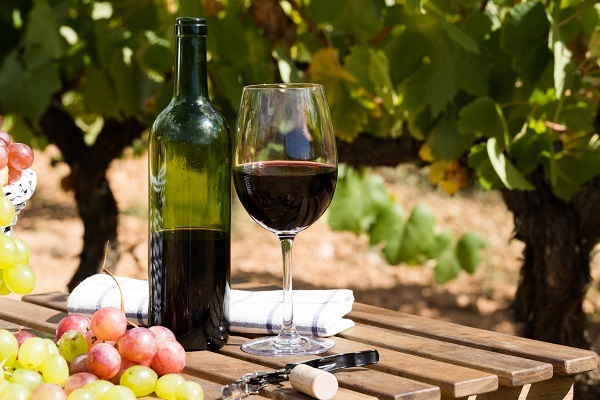 In all, Argentine exports of grape products (including wine and grape juice) were the country’s tenth-largest export category in 2018, with wine sales alone valued at $821 million. Despite last year’s currency crisis, domestic consumption has also picked up. After years of declines, Argentines increased their wine consumption last year by 3 percent. But the long term trend is negative. Per capita wine consumption in 1970 was 92 liters, compared to only 18 liters last year, as Argentines increasingly choose beer and soft drinks. For that reason, Argentine winemakers are increasingly focused on exports – and increasingly aware of their disadvantages in the U.S. market, the number-one importer of Argentine wine. The 2004 free trade agreement between the United States and Chile allows Chilean wine to enter the U.S. duty-free, whereas Argentine wine faces a tariff of 19.8 cents per liter. 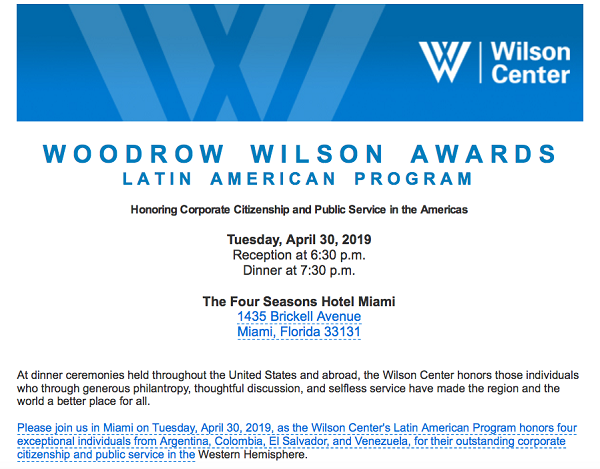 There is still time to secure your place at the Wilson Center’s Latin American Program Gala at the Four Seasons Hotel in Miami on April 30. To learn about sponsorship opportunities for your company, please write to Anders.Beal@wilsoncenter.org. It should be a fantastic event, and we appreciate your support for our Latin America research and public events. For more Argentina insights, and to keep up with Argentina Project events, follow us on Twitter (@ArgentinaProj), where we also highlight our publications and activities – such as our special forum for Argentine presidential candidates, including our April 8 discussion with San Juan Province Governor Sergio Uñac and last month’s conversation with José Luis Espert – and announce new podcast episodes. For more election coverage, visit our special Argentina Elige election Web site. Please donate here (select “Latin American Program” under “designation”). For additional benefits – including the Argentina Project Quarterly Briefing and invitations to special receptions – please contact us about corporate membership. To sponsor an event, the Weekly Asado or our ArgentinaPulse survey, please write to us at lap@wilsoncenter.org. If you believe you received this message in error or wish to no longer receive email from us, please (Unsubscribing is not supported in previews). CAUTION: This email originated from outside of the Wilson Center. Do not click links or open attachments unless you verify that the attachment and content are safe. Send all suspicious email as an attachment to report.spam@wilsoncenter.org.